This glove is definitely unique in style with its snakeskin-printed leather and fiery superskin. 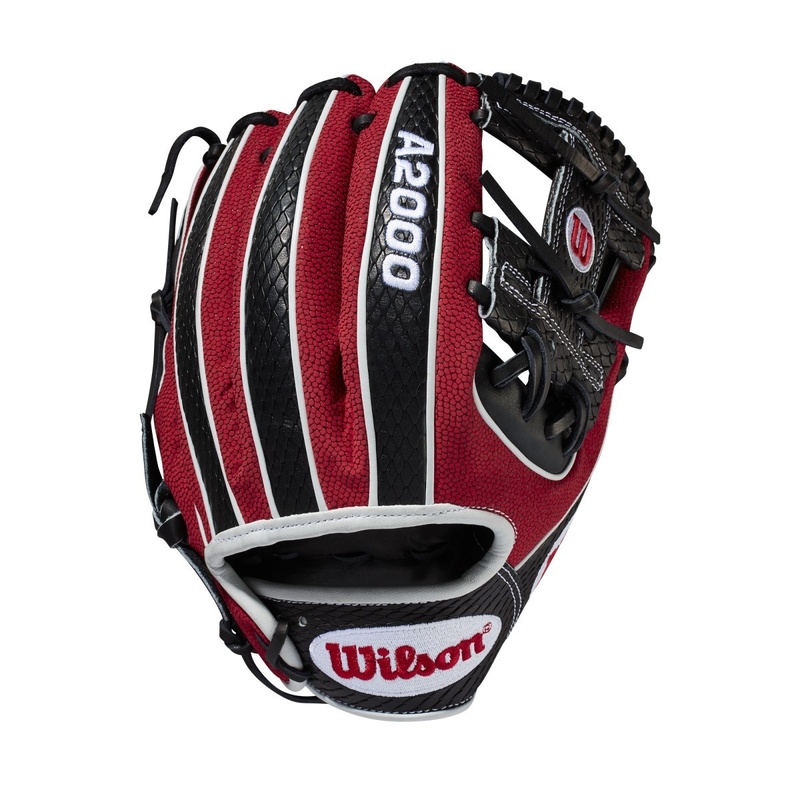 Snakeskin-printed Pro Stock Leather returns to the Glove of the Month in this fiery A2000 1786SS design. With Black SnakeSkin style Pro Stock Leather and Red SuperSkin, this glove is unlike anything we've ever created - calling it hot doesn't even come close to doing it justice.